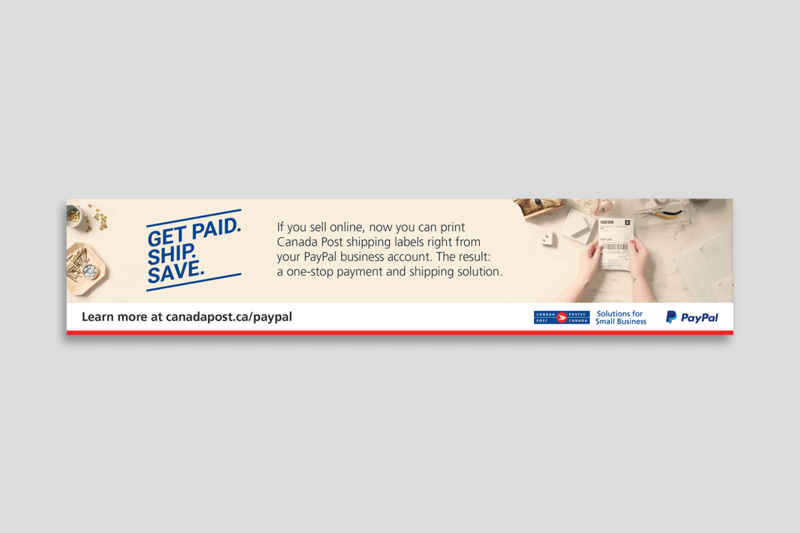 Canada Post asked us to create a campaign to promote their new relationship with PayPal. 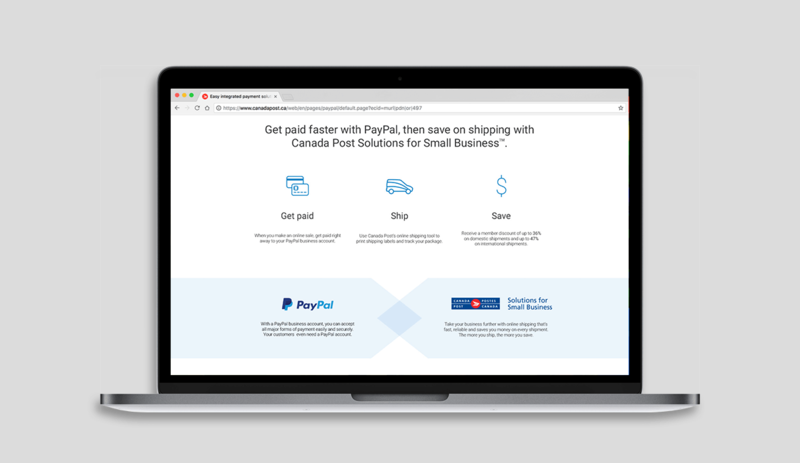 The partnership meant that small business owners could more easily use PayPal's and Canada Post's payment and shipping tools together. 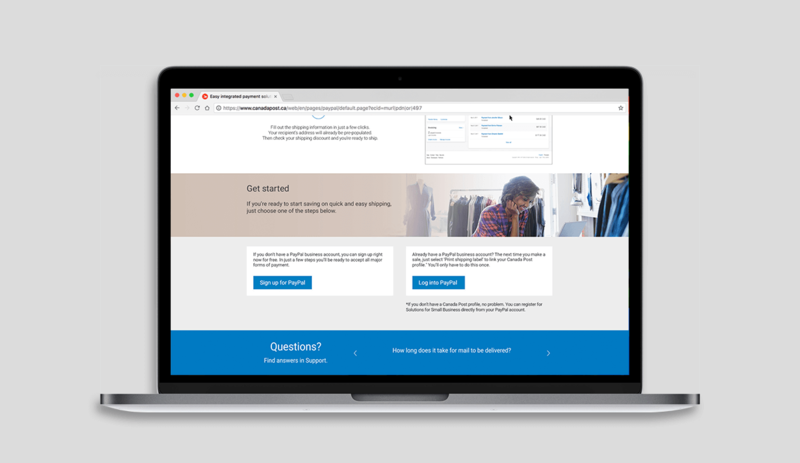 We were tasked with creating a video, a landing page, and various online, social and print ads. 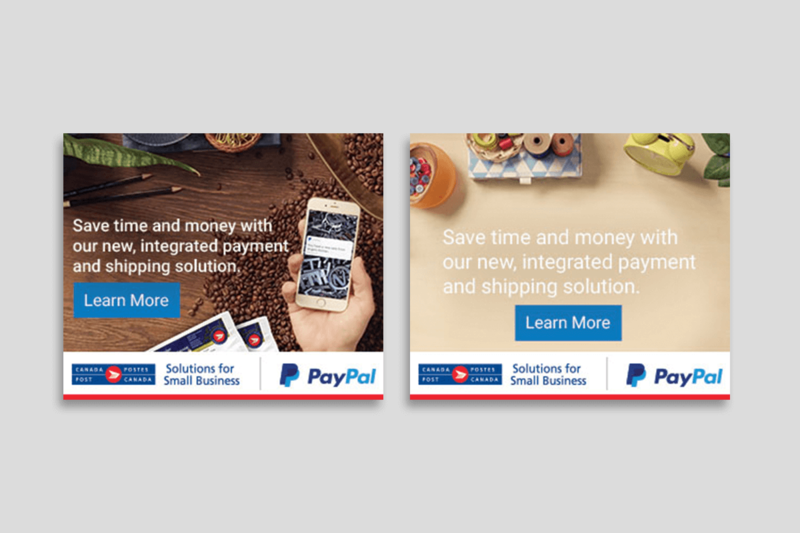 My copywriter and I came up with the concept of watching three different business owners receive an order, create their product, and ship it out using PayPal and Canada Post's systems. 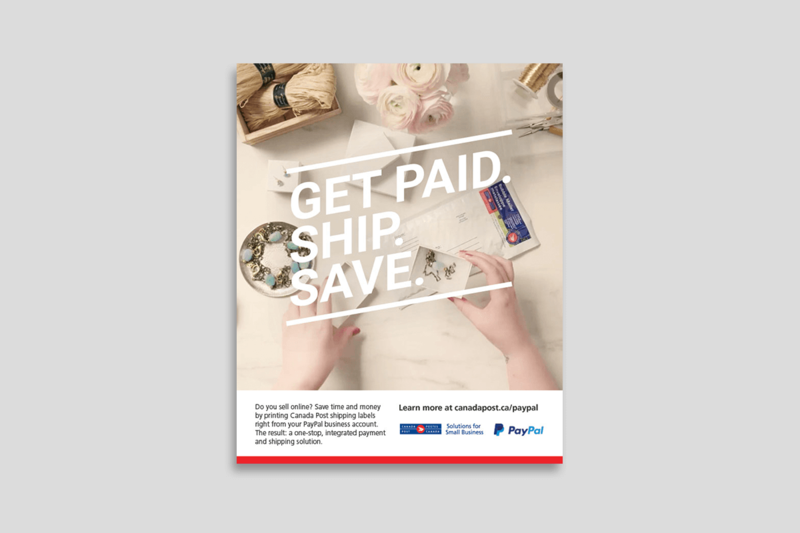 I art directed the shoot and worked with the director and prop stylist to create a different setting for each small business, illustrating different types of products and people using colour and texture. 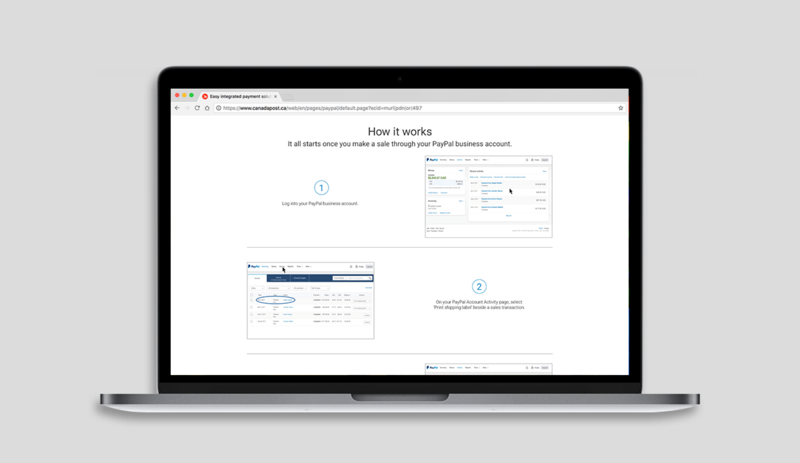 I then designed the website with the goal of educating people on what this new partnership meant and what users could do with these new abilites. 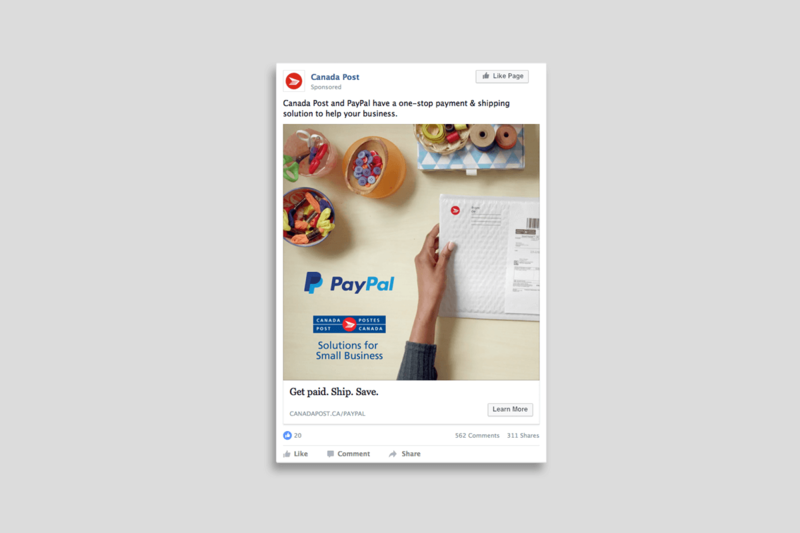 The video we shot was reappropriated for other parts of the campaign, which I oversaw and executed.